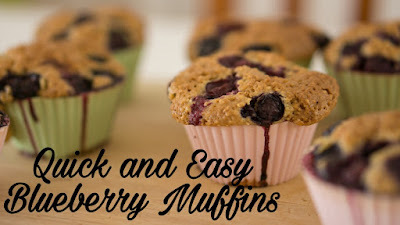 Although blueberry muffins can be enjoyed all year round they are a great comfort during the cold months. Blueberry muffins are a great breakfast or snack served warm from the oven along with a hot cup of coffee or tea. Blueberries are highly nutritious and packed full of antioxidants. They also contains high amounts of fiber, potassium, folate, and vitamin C.
The following is a quick and easy recipe for blueberry muffins. 1. Preheat oven to 375°F. Lightly grease a 12-cup muffin pan or line with paper liners. 2. In a medium bowl whisk in flour, sugar, baking powder, and salt. 3. In a large bowl add butter, eggs, milk and vanilla. Mix to combine. Pour in the dry mixture. 4. Pour the dry mixture over the wet ingredients and blend together just until combined. Don’t over-mix. Gently stir in blueberries. 5. Pour batter into the muffin pan. Bake for 15 to 20 minutes or until tops are golden. You can also insert a toothpick into the middle of a muffin and if it comes out clean then they are ready. Transfer to a cooling rack. Enjoy! 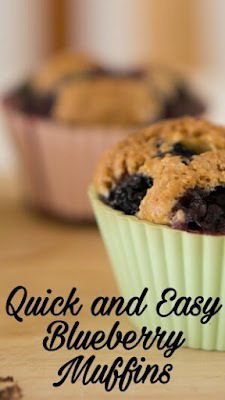 Do you enjoy a fresh and tasty homemade blueberry muffin?